The idea of theme weddings has grown to be a popular one. The elegance and beauty of the Victorian era is very attractive to many. A Victorian theme is a perfect choice for a formal wedding. 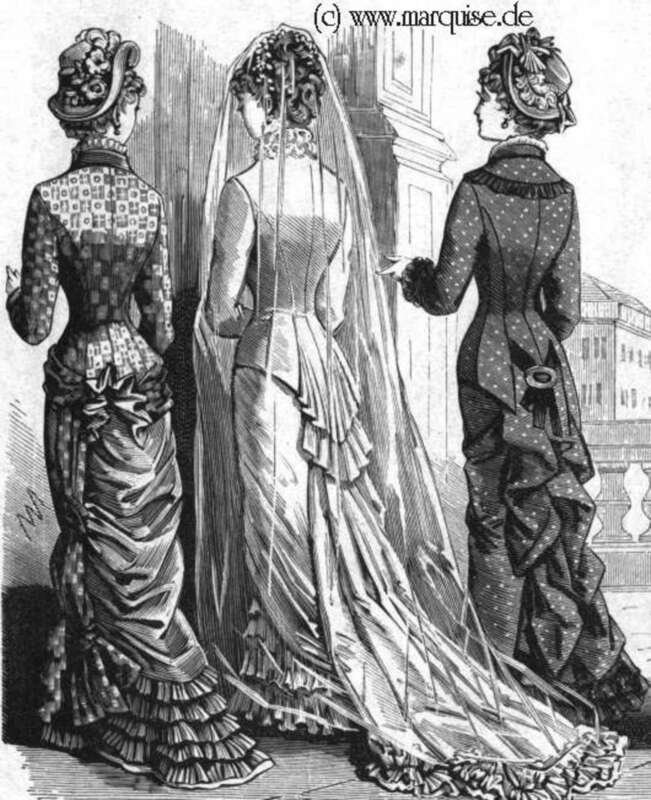 Brides who love the elegance and formality of Victorian high society may take inspiration from high profile weddings of the era. A Victorian styles wedding in an out door setting is popular for couples who enjoy nature and garden venue. I have had several couples set their theme to weddings in the Victorian era Wild West. An authentic setting will really help set the mood of your wedding, and contribute the the feeling of stepping back in time. The Angel at Rose Hall has true victorian-inspired features such as ornate ballrooms, elaborately carved wood panelling, etc. A charming Victorian wedding tradition was the cake pull. The baker would tie ribbons to charms and place them between the layers of the wedding cake. Before the cake was cut, the bridesmaids would pull on the ribbons to discover their fortune. A heart charm mean True Love, an anchor Stability, a cross Peace, a clover Good Fortune, etc. How fun can that be? No matter whether you have a theme or not, be sure to check the Angel at Rose Hall for a wedding or Vow Renewal. http://www.youtube.com/watch?v=7OiMPdbJEHo&feature=player_embedded#! visit the Angel at Rose Hall,a Eureka Springs Bed and Breakfast and Eureka SpringsWedding Chapel,plan your Eureka Springs vacation now,the Angel at Rose Hall is the best place for Eureka Springs lodging and Eureka Springs Weddings.